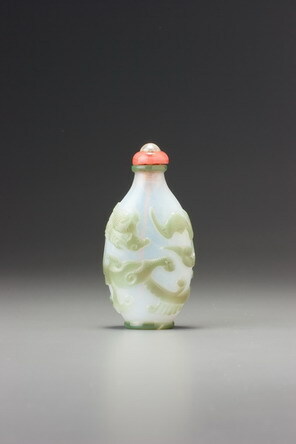 The subject of chi dragons together with very similar designs in a range of other materials strongly suggests a courtly connection. 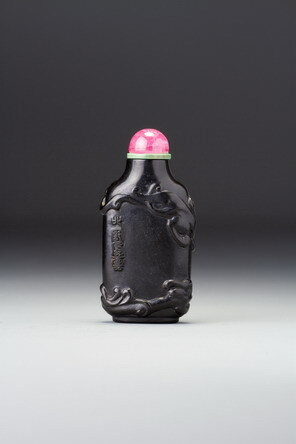 If the carver did not work at the palace, it is likely that he nevertheless supplied the court; the works he produced are among the most exciting jet bottles with carved relief decoration. The inscription, in elegant and convincing relief seal script, is an old phrase characterising the awesome might of a hero.